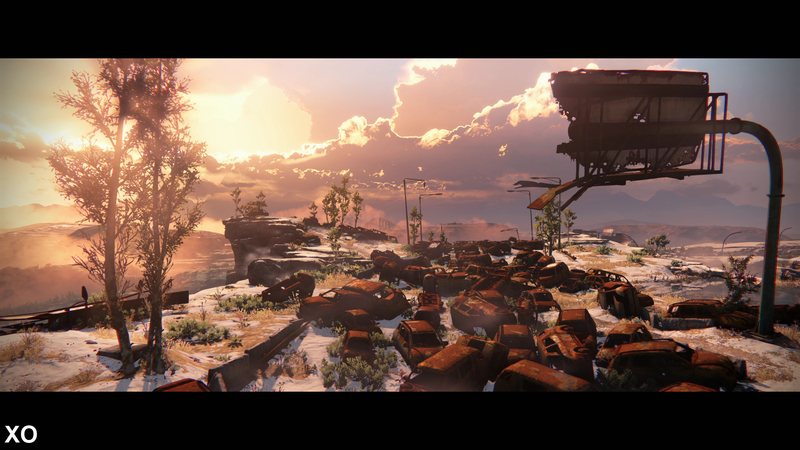 This feat is bolstered, and in certain respects hindered, by Destiny's use of FXAA post processing; an intelligent filter that targets the game's rough edges on both PS4 and Xbox One alike. Left in its raw state, a 1080p image would look crystal clear on a pixel-matched HDTV set, though without any extra processing, is at the mercy of pixel-crawl and noise artefacts. 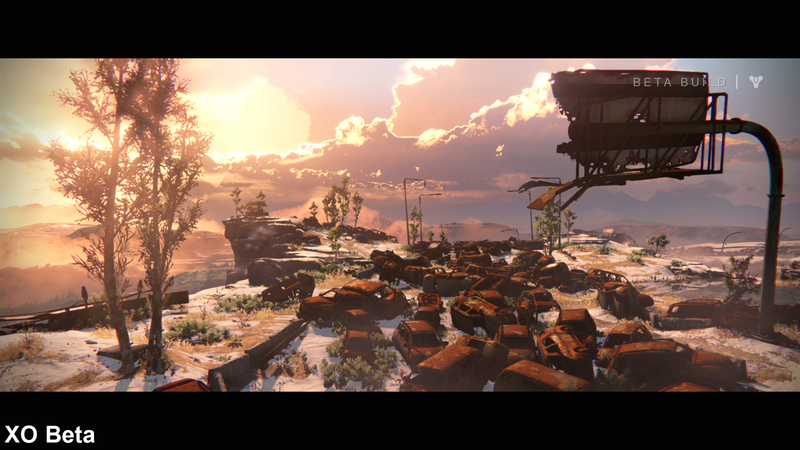 To address these lingering, high-contrast jaggies, a faint blur is introduced through this method - slightly sullying the hard work in producing Destiny's base image. 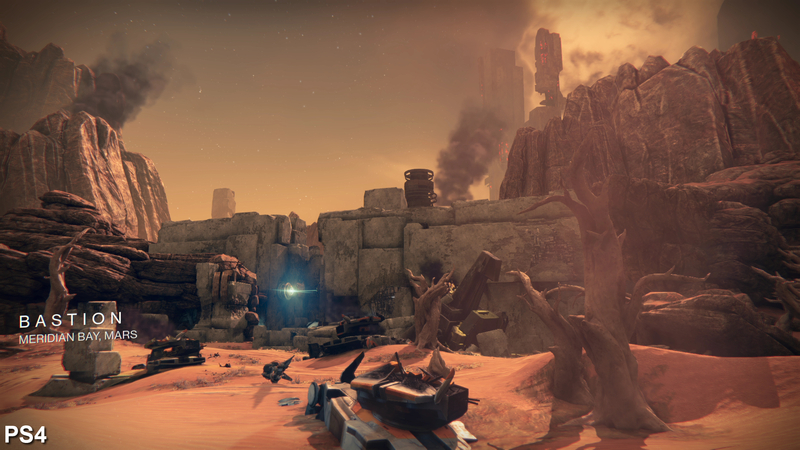 Outside of the 1600x900 internal resolution, Destiny's beta program on Xbox One showed few concessions when compared to the 1080p PS4 equivalent. Even so, image quality mattered here. Unlike the dark, top-down setup of Diablo 3, where a 44 per cent boost in pixel-rate didn't quite translate to a likewise leap in clarity, playing Destiny at 1080p makes a tangible difference. Tree leaves, grass tufts, netting, meshes, and even fabric textures render clearly at a distance now, while the upscaled 900p image of the Xbox One beta interpolated these elements - producing a fuzzier appearance from afar. 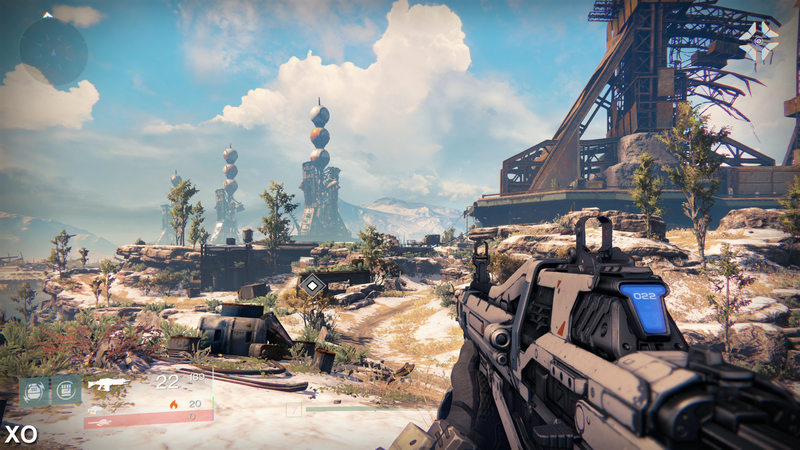 The Xbox One release of Destiny upgrades its native resolution from 1600x900 (as seen in the beta) to a full 1920x1080 - making for a boost in clarity across foliage elements especially. 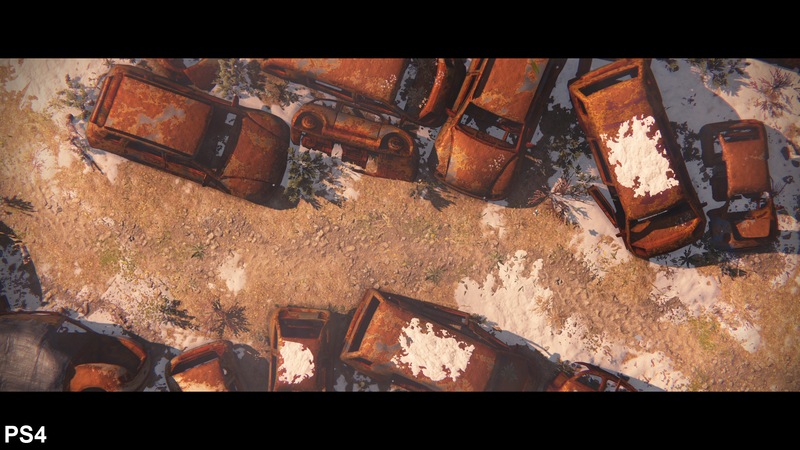 Note that dynamic dust effects account for the colour differences here, all shots are full-range RGB. Outside of a slight difference in default brightness settings, little else has changed between beta and full release. Here we see that normal mapping appears crisper owing to the 44 per cent pixel boost. Fast approximate anti-aliasing (FXAA) is still in use across all three versions. It's cheap on console resources, and comes with a faint residual blur, but handles most on-screen elements well in stills. Comparing just the Xbox One retail and beta builds, we see minor discrepancies in shadow positioning, due to the dynamic lighting, but little is changed in terms of the quality of the shadow maps themselves. Reflections remain accurate to the world, with every element of the local geometry being mirrored exactly during play. When time-of-day (TOD) is synchronised between Xbox One and PS4, multiplayer shows practically like-for-like draw distances. 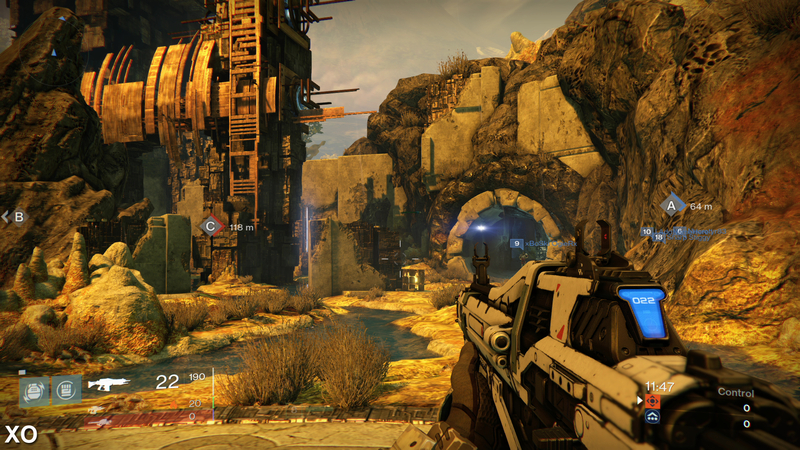 Likewise for the Steppes area on Earth - the Xbox One manages to match the PS4 despite its increase in pixel-rate. But such a boost to pixel count can't come cheap. Microsoft's June SDK may have unlocked resources previously assigned to Kinect, but this marks a considerable upgrade. However, in terms of in-game assets, nothing appears to have been pared back for Destiny's campaign or straight multiplayer modes. 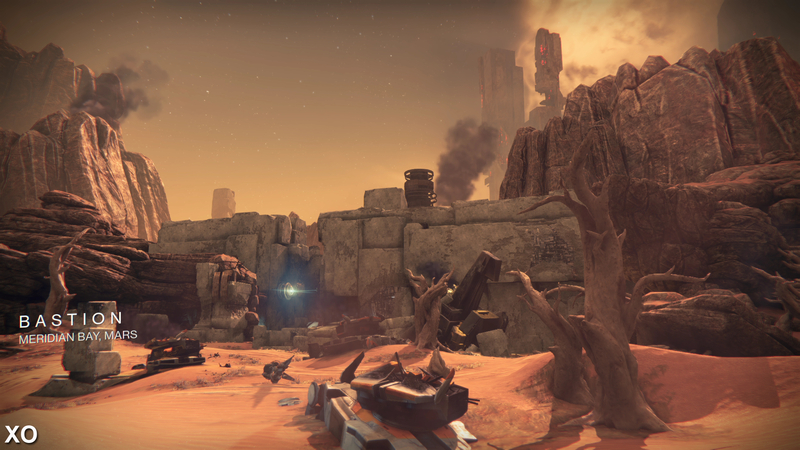 A charge through the initial Steppes areas, for example, shows draw distances and pop-in are like-for-like between the retail and beta builds on Xbox One, and even PS4. 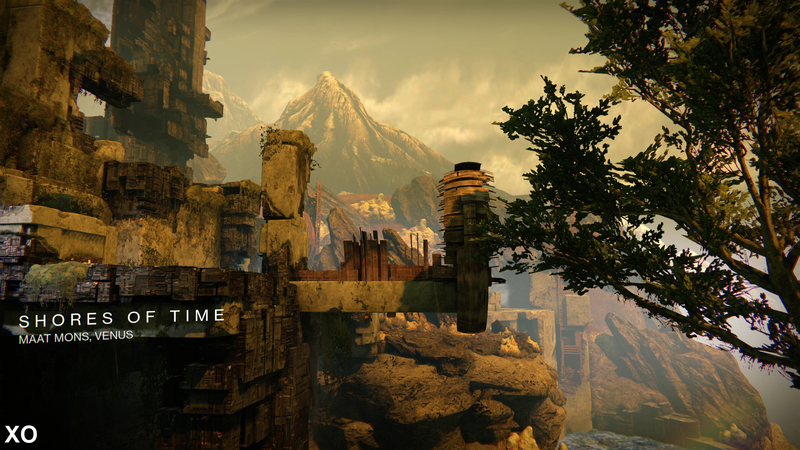 Even on the distant cliffs, shadow maps, geometry and enemy placements remain as they were. Bump-mapped rock textures also go untouched, but as a result of the resolution boost, now appear more defined even from a long range. Effects-work and lighting also remain fixed in quality across the world, with a screen-space chromatic aberration effect now added to Xbox One's final build. 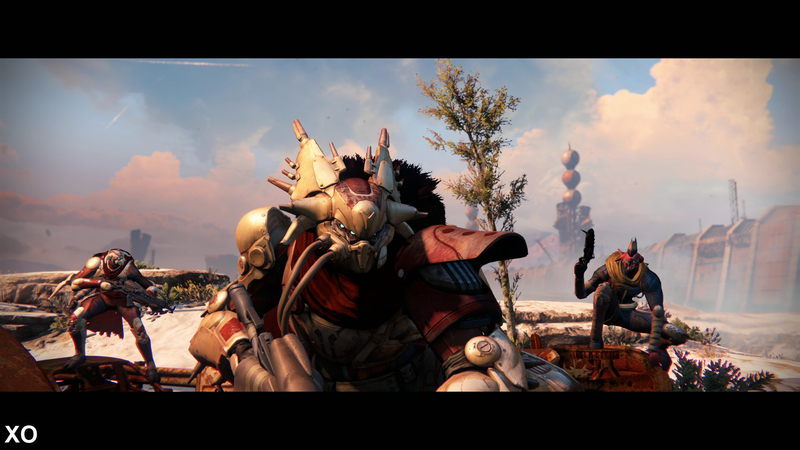 This brings the Microsoft's platform up to speed with the PS4 release, where Bungie also ditches the flat HUD seen in the beta in favour of a curved design that matches Sony's console. It's a minor tweak, but one that completes the pixel-for-pixel likeness of many of our comparison shots between the two. With no downgrades to world detail, even across the broadest maps, we turn to our performance analysis of the full retail Xbox One build. Compared with our beta playthrough, building up to the climatic The Last Array mission, it's clear a few frame-pacing issues linger. These are minor irregularities in the way frames are delivered, an issue that also manifests on PS4 - but significantly reduced since the beta launched. Putting Destiny's retail code to the test, Bungie's push for 1080p comes at no apparent penalty when locking down a v-synced 30fps experience. At its worst, minor frame-pacing issues crop up occasionally - producing an uneven spread of frames - but this is no better or worse than its beta incarnation. 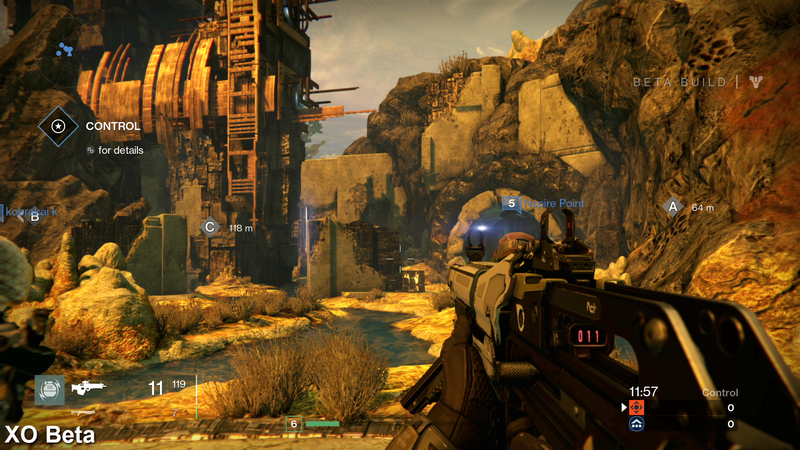 Otherwise, Bungie's target 30fps is strictly adhered to, and with v-sync permanently engaged to boot. 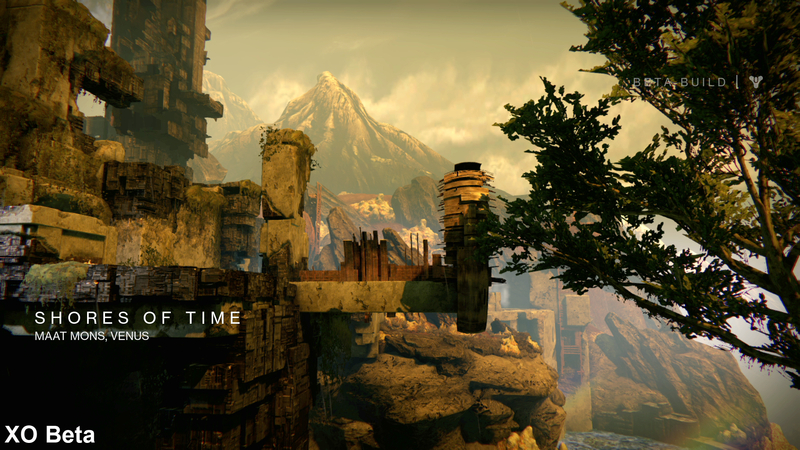 In fact, we only catch one hiccup to 28fps; a momentary blip while riding a Sparrow quickly across the wastelands. Based on its timing, this seems to have less to do with strains on the GPU, and is more about the engine's ability to stream the world, as made evident by the way it strikes at the same point as the beta release. 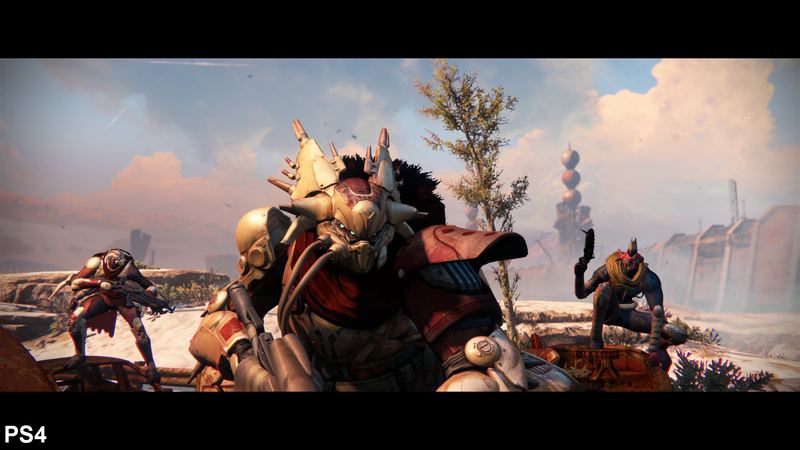 Having played the Crucible multiplayer mode at great length, searching for any whiff of a frame-rate drop, we're surprised to leave empty-handed here too. Dips from 30fps, in the conventional sense, simply aren't a factor for Xbox One running at 1080p; indeed, only the occasional frame-pacing stutter disrupts the game's flow. It's a surprising result given Diablo 3's performance hits after being patched on Xbox One; a less extravagant game in terms of scale, though admittedly one striving for the higher 60fps line. Overall, the Xbox One version runs identically to its already impressive beta build, albeit with an added full-screen distortion effect, refreshed HUD design, and a crisp 1080p viewing window. With no performance penalty or pared-back visual settings in sight, first impressions suggest a release that very closely matches its PlayStation 4 counterpart in terms of both looks and performance - a state of affairs we're looking to fully confirm in our upcoming Face-Off.